Travel guide, restaurant critic, advice giver, day trip planner, experience creator, request granter, memory maker…those are just some of the hats we wear as innkeepers and we love it! Our guests are the reason we do what we do—providing each and every one with amazing accommodations in an area that has endless possibilities for things to do and see. If we haven’t had the pleasure of hosting you at our bed and breakfast in Salisbury Mills, NY, consider yourself formally invited! Our home is the perfect place for a getaway where you can enjoy either a full relaxing retreat or a full weekend taking in all that the Hudson Valley has to offer. 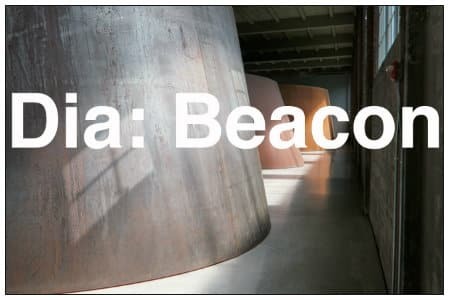 We are currently in our “Top Favorite Local Towns” series and today we are talking about the very popular Beacon, NY. It will only take you about 25 minutes via I-84E to get to the very hip and popular destination of Beacon, NY. It made our favorites list because it’s just a really fun place to spend a day trip during your stay here with us. First of all, it’s a beautiful and picturesque place as it is set at the foot of Mt. Beacon, which happens to be the highest summit in the Hudson Valley. There is a lot to do here and you’ll find something for everyone. Main Street, at the core of the city, has all kinds of shopping and dining options. The Beacon Theatre, a1930s-era building, offers great live theatre and the Town Crier Café has fantastic live music. Take a tour of Bannerman Castle or a local distillery or visit the Hudson Beach Glass gallery and watch a glass blowing demonstration. You won’t want to miss seeing Dia: Beacon, one of the nations most well regarded contemporary art museums. It is housed in a former Nabisco factory on the banks of the Hudson River. The galleries have a beautiful natural light; that floods in to show off the large-scale sculptures and collections. Yet another great reason to plan a trip to the Hudson Valley – what are you waiting for? Book online today and treat yourself to a memorable vacation. If you need help planning the perfect mid-week or weekend retreat, contact us anytime. We have the best inside scoop on the must-sees and must-dos. Hope to meet you soon!